Our FFL Info is listed at the bottom of this page. Modern Armory sells firearms and custom firearms only in accordance with Federal, State, and Local firearm laws. 1. Verify that the product you wish to purchase from Modern Armory meet your state, county, or city firearm laws. If you do not receive an email order status update within two business days after placing your order, please give us a call at 817.203.3060. 4. Contact your FFL and tell them you would like to transfer a firearm from Modern Armory. This transaction is soley between you and the FFL holder. If you are ordering a Rifle or complete lower receiver, before your order ships, we must receive a signed copy of an FFL for the firearm(s) or components purchased. Please e-mail licenses to [email protected] or mail to 7724 County Road 1228 Godley, TX 76044. 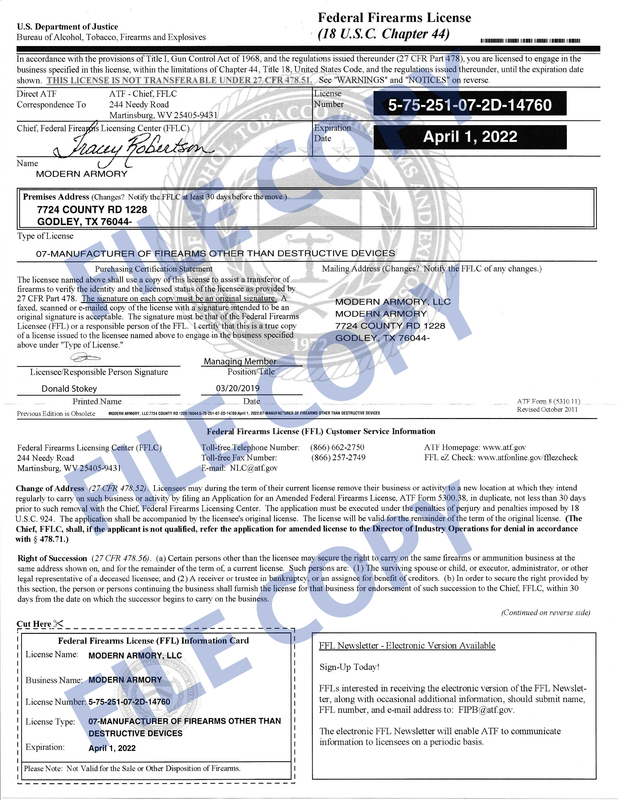 Licenses on file with Modern Armory are not required unless we notify you otherwise. Licenses are not required for accessories. *Due to federal regulations, guns and complete lower receivers can only be shipped to federal firearms license (FFL) holders. If you are not an FFL holder, you can contact your local gun store for their FFL information, and we will ship the product to their location. If your rifle is being shipped to CA, CT, HI, MD, MA, NJ, NY, or WA, please contact us for special arrangements. 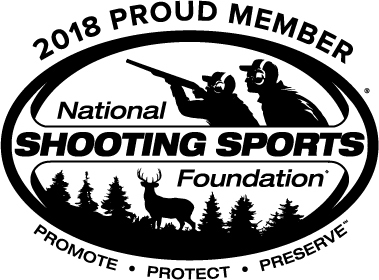 No transfer fee will be charged if you are also purchasing a firearm from us at the same time as long as the number of guns being transferred in equals 3 or less.